At Last — a firming, toning, wrinkle reducer for the eyes, specifically designed for day wear! Beautiful eye makeup needs a proper platform. Ant-Oxidant Green Tea based Remedies Eye Serum delivers super firming ingredients and protects the delicate eye tissue moisture balance. Remedies Eye Serum helps prevent wrinkles while it pulls double-duty to actually hold all eye primers and makeup in place. Never wear eye-makeup without it! 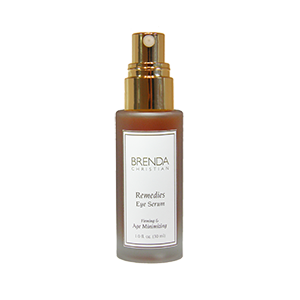 Remedies Eye Serum is a powerful eye treatment, which is worn 24 hours a day to give the delicate eye tissues the elasticity and moist resilence they need to offset the signs of aging. In other words…..delay wrinkles. Because Remedies Eye Serum is not a heavy cream it works beautifully under Brenda Christian “Remedies Concealer” and power packed Eye Makeup Primer “Primafirm”. Every ingredient in Remedies Eye Serum is boosted to such a degree of efficacy, the synergistic benefit is immediately visible. No more waiting 28-60 days. Remedies Eye Serum contains in excess of lab proven bioactive ingredients that work in tandem to strengthen each other in order to provide maximum anti-aging benefit 24 hours per day. The skin surrounding the eyes is hydrated as key secondary ingredients penetrate deeply into the tissues with firming nutrients to promote healthy, young skin cell formation. Horse Chestnut Extract: Generates circulation for the reduction of puffiness surrounding the eye area. Chamomile, Whole Leaf Aloe Vera,and Hydrocotyl: Synergistically soothe and calm tender eye tissues. Cucumber: Provides cool, refreshing eye experience. Deionized water is a type of purified water with mineral ions (salts) removed. These mineral ions include sodium, calcium, iron, copper, chloride, and bromide. Deionized water is created by taking conventional water and exposing it to electrically charged resins that attract and bind to the salts, removing them from the water. Because most of the impurities in water are mineral salts, deionized water is mostly pure, but it does still contain numerous bacteria and viruses, which have no charge and therefore are not attracted to the electrified resins. Deionized water is also used as a medium or additive in many pharmaceutical or cosmetic products, desired for its low chemical reactivity. Through its anti–inflammatory and anti-oxidant activities, green tea can also assist us with skin care by reducing sun damage, wrinkles and signs of ageing. The topical application of green tea extract seem to help prevent skin conditions like loss of skin elasticity, inflammation, premature aging and cancer caused by exposure to UV rays. Green tea contains catechins, that are natural anti-bacterial agents that suppress acne-causing bacteria. Also, the anti-inflammatory action of green tea extract helps reduce any swelling brought on by acne. Green tea extract helps lessen your skin, prevent further breakouts leaving your skin with this radiant glow. Coneflower extract has anti-inflammatory properties. It can prevent tissues and cells from toxic inflammations. The extract can also help with the rejuvenation of cells and tissue regeneration after an inflammation. Echinacea prevents skin problems and is also used in various natural skin care products for some of the specific benefits. Horse Chestnut extract has been found to have soothing, anti-irritant and toning properties and is widely used in salves for aged and fragile skin but also in facial toners, cleansers and moisturizers for anti-blotchiness. It’s skin softening and soothing attributes. An effective addition to product lines geared toward skin toning and refining. It halts the breakdown of elastin and hyaluronic acid which firm up and hydrate the skin and build collagen, keeping the skin moist and supple and fighting signs of aging. Roman chamomile provides anti-inflammatory, anti-fungal, anti-bacterial and antiseptic benefits, as it helps to reduce aging by neutralizing free radicals. Calming and soothing to the eye tissues, Chamomile contains a long list of chemical compounds which are individually known for their anti-inflammatory properties. A few components of Roman Chamomile make it a healing skin champion! Bisabolol – An anti-inflammatory, antibacterial, anti-irritant, anti-fungal and non-allergenic. Bisabolol is found in both German and Roman chamomile essential oils although German chamomile has a higher concentration. Chamazulene – One of the azulenes, chamazulene is only found in the essential oils of both Roman and German chamomile and is created during the distillation process from another compound called matricin. This compound causes the essential oil of German chamomile in particular to go bright blue. Roman chamomile essential oils is often distilled in a way that prevents the formation of chamazulene as the industry prefers this oil to be a pale straw color. Chamazulene is credited with providing the anti-inflammatory properties of both chamomiles. Apigenin – This flavonoid is gaining notoriety following some recent research which has shown it to reduce DNA oxidative damage, inhibit the growth of human cancer cells and act as an anti- inflammatory. Apigenin is found in both chamomile but is only present in the flowers and not in the oils. Sodium Hyaluronate has a smaller molecular size as Hyaluronic Acid (making it especially penetrative) and is able to hold more water than any other natural substance—up to 1,000 times its weight in water! It actually attracts water into the skin even in dry climates and certainly in humid environments maintaining a virtual “moisture chamber” for the eye area. When applied topically to the eye tissues, it can reach deep down into the dermis to attract hydration more deeply into many layers of the skin. It also promotes skin/blood microcirculation and nutrient absorption and helps maintain normal metabolism. Remedies Eye Serum Sodium Hyaluronate will result in smoother, softer skin with decreased wrinkles and an all-around smoother eye area appearance. A skin-replenishing ingredient that has been hydrolyzed, which is a chemical process involving the reaction of a substance with water to form a modified substance. Functions as a skin-softening agent. Our Texas Desert Grown Aloe Vera utilizes the benefits of the whole leaf which is rich in nutrients, antioxidants, and moisture making it a literal Warrior for Skin Nutrition and Health. Brenda Christian’s Whole Leaf Aloe Vera contains a huge variety of vitamins including vitamin A, B1, B2, B3, B6, C, and E. It’s also rich in choline and folic acid, all of which help form healthy, more elastic skin tissues in the eye area. Glycerin is used in Remedies Eye Serum as a humectant to pull water into the actual skin cells to provide optimum hydration and elasticity, the keys to prevent skin wrinkling. 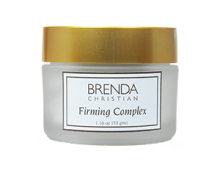 It is an active moisturizing ingredient found in the root of the Comfrey herb. It has a lovely therapeutic action that promotes skin healing; a safe anti-irritant that is used extensively in the skin care industry. Scientific research has been carried out on the compounds found in Allantoin proving the following benefits from just one ingredient! Repairing: It is well known for its ability to stimulate cell proliferation, encouraging new tissue growth. It is known to be extremely wound healing, research has shown that it clears away necrotic tissue, making way for a healthy new tissue. Relieves dryness: Promotes cellular regeneration, counteracting dryness and repairing an impaired barrier which encourages sensitive skin to become more resilient. Soothing: It is considered an excellent anti-irritant, calming and soothing inflamed skin. Helps to calm the eye tissues when irritating pigments from brightly colored eyeshadows are applied. Powerful moisturizer which reduces skin hydration ordinarily lost through evaporation especially in hot climates. Sodium PCA is the sodium salt of pyroglutamic acid (also known as PCA). PCA is a naturally occurring component of human skin and a part of the “natural moisturizing factors” (NMF) that maintain a healthy epidermis. Sodium PCA is very hygroscopic, attracting moisture from the air. It imparts a moist feeling to the skin. PCA is an important component of this intracellular matrix of skin, preventing our skin cells from losing water and drying out. Additionally, Sodium PCA reduces inflammation in our skin using the very infrastructure it has created to prevent surface irritation from penetrating too deeply into the epidermis. Hyaluronic acid is a natural substance in skin that has the stunning capacity to attract and hold vast amounts of moisture. It works overtime by replenishing skin to enhance a healthy look and feel. As we age, our skin loses the ability to preserve moisture, resulting in the visible loss of firmness, pliability, and plumpness. Hyaluronic acid swoops in with the ability to replenish moisture that is crucial to having younger-looking, supple skin. Panthenol is derived from the B Vitamin pantothenic acid. Panthenol is used in skincare products as a humectant because of its ability to attract and hold moisture. Sometimes called Pro-Vitamin B5, Panthenol mixes readily with other active ingredients to provide superior skin hydration. • Smoothes skin surface impriving the overall tone and appearance of the skin. Retinoids are the derivatives of Vitamin A which have been proven to reduce wrinkles, fade brown spots, and smooth roughness. “There are more than 700 published studies on the power of our treasured retinoids. Traditionally used to restore skin, the essential oils and botanical extracts of jasmine increase skin’s elasticity and help balance moisture in the skin to naturally reduce dryness. 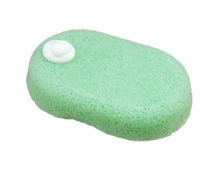 Plus, its natural antibacterial properties protect skin from assault and aid skin’s immunity. Brenda Christian Cosmetics, Inc. uses a very special blend of extremely low levels of preservatives and emulsifiers including parabens. Much emphasis has been placed upon individual ingredients that when fed to laboratory animals by other companies, in large volumes has perpetuated illness. When used topically in very low levels, there is absolutely no danger to the human body which is why the medical community highly recommends man made, controllable preservatives be used when at all possible. Polysorbate 20 originally sourced from fruits and berries is used in Remedies Eye Serum to not only soothe the skin’s surface but to powerfully hold our formula together. Triethanolamine gently assures the pH of our serum remains at the optimum level for ingredient absorption by the skin. Carbomers are thickening agents that help control the viscosity and flow of Remedies Eye Serum. Diazolidinyl Urea. An antimicrobial that’s predominantly used as a preservative in cosmetic products, assuring safety and freshness. Butylene Glycol A small organic alcohol used as solvent and conditioning agent. Each morning after cleansing and toning, apply one pump of Remedies Eye Serum for day to fingertip and apply to skin area surrounding the eyes. Deionized Water, Camellia Oleifera Extract (Green Tea Extract), Butylene Glycol, Hydrocotyl Extract, Coneflower Extract, Horse Chestnut Extract, Cucumber Extract, Chamomile Extract, Sodium Hyaluronate, Hydrolyzed Glycosaminoglycans, Endonucleine (RNA/DNA), Whole Leaf Aloe Vera, Glycerin, Butylene Glycol, Allantoin, Sodium PCA, Hyaluronic Acid, Panthenol, Vitamin A, Vitamin E, Jasmine, Chamomile, Methylparaben, Polysorbate 20, Triethanolamine, Carbomer, Diazolidinyl Urea.